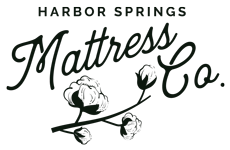 Financing - Harbor Springs Mattress Co.
today and pay for it over time. or up to 36 months at competitive interest rates. and prepay at any time without penalty. Enjoy paying monthly or choose to pay later for the sleep you really want now. Apply for financing at either of our stores in Harbor Springs or Rochester, Michigan. If approved, you’ll instantly receive a digital card number which you can use to make purchases with us online or in our store. 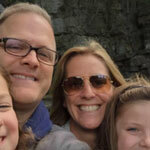 I looked far and wide to find a high quality, non-toxic, long lasting mattress and was thrilled to meet Rory and discover Harbor Springs Mattress Co. The mattresses are made with high quality materials and are oh so comfortable. We had an expensive pillow top prior to purchasing our Bed of Roses, and there is no comparison between the two. I LOVE my mattress and also sleep well knowing there is no toxic off-gassing. We purchased one for our daughter too. AMAZING and so worth it. Customer service is outstanding. I highly recommend. Our distinct collection of hand tufted mattresses.